Gel-filled numbers come in the entire spectrum of colors! Includes glittery red math signs to bring a touch of magic to your equations! The 3½” numbers are the perfect size for using on light tables. 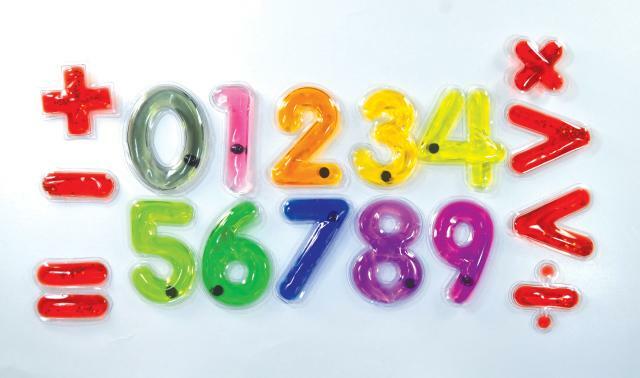 The squishy numbers contain a magnetic disc that students can manipulate around the number with their fingers or magnetic wand. Includes: 30 numbers and 14 math signs. Dimensions: L: 3.5" x H: 4.75"